So many carpet tiles! 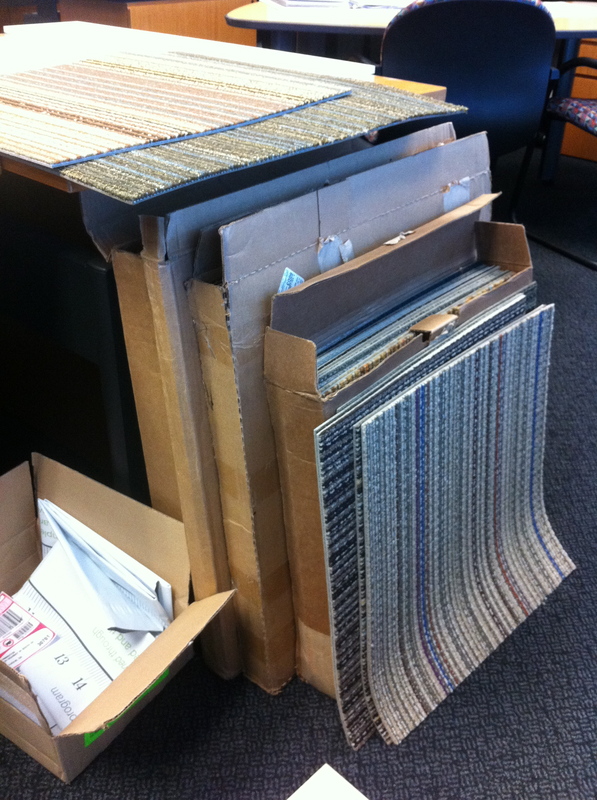 Lately, the joke at my desk whenever I get a package is, “Is it more carpet tiles?” I’m frantically reselecting stuff and in essence, hoarding carpet tiles until the client makes their final decision. 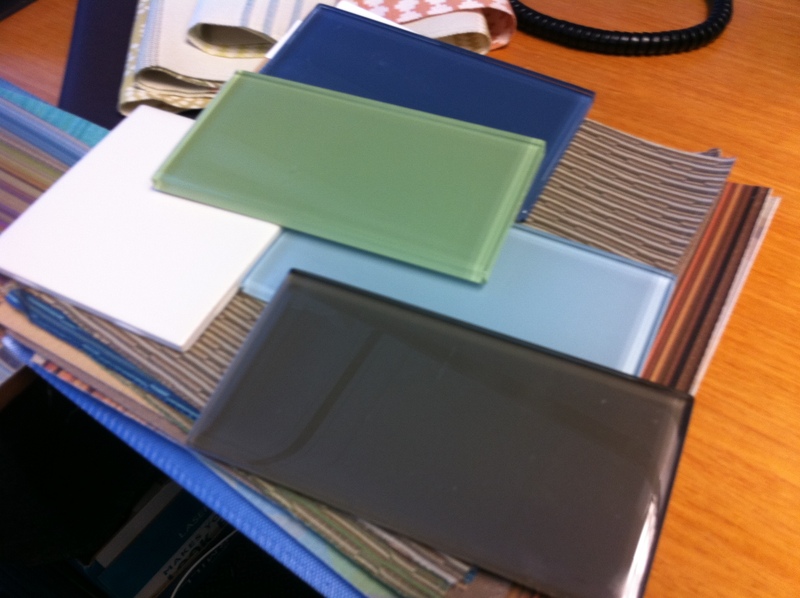 The two tiles that actually made it ON TOP of the desk are the front runners. 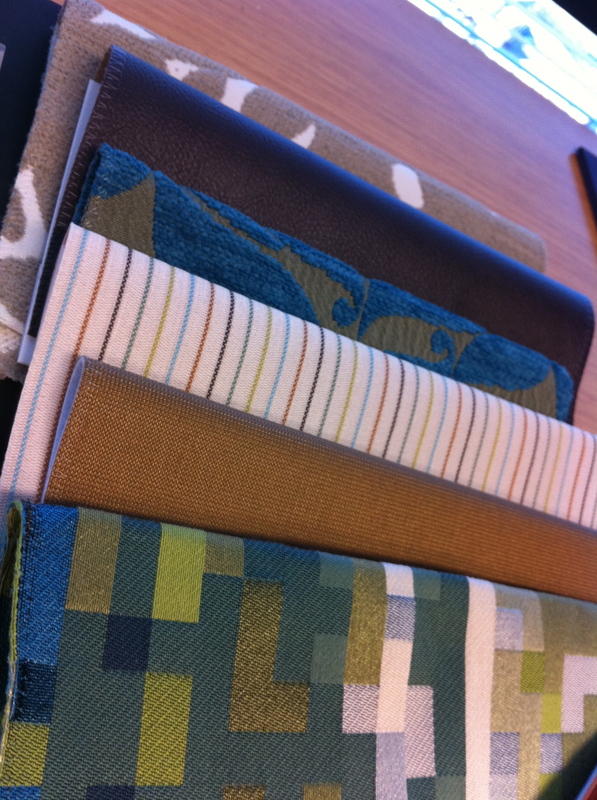 I got a package of vinyl fabric samples in today from Maharam–who knew they could be so beautiful!? I’m in love with the pixelated plaid print. More fabric! But a little more artfully displayed. 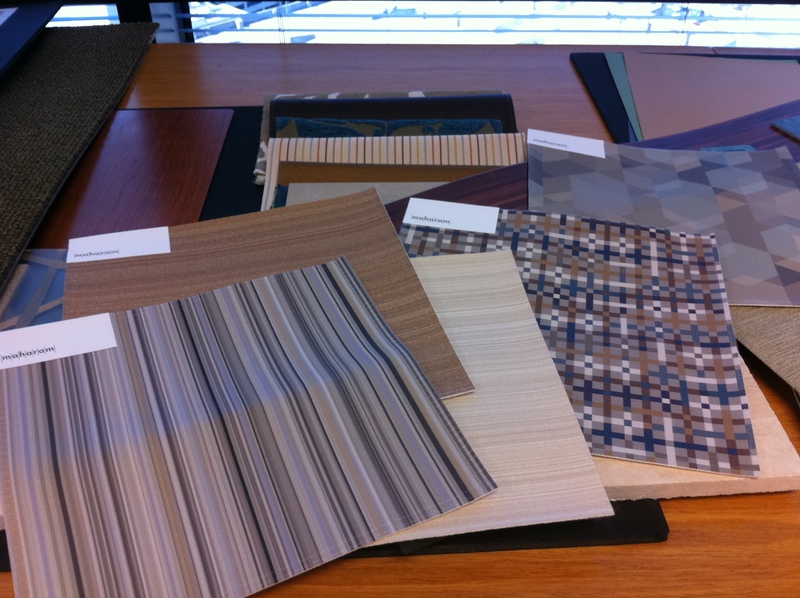 Would it freak you out to have all these fabrics in the same room? 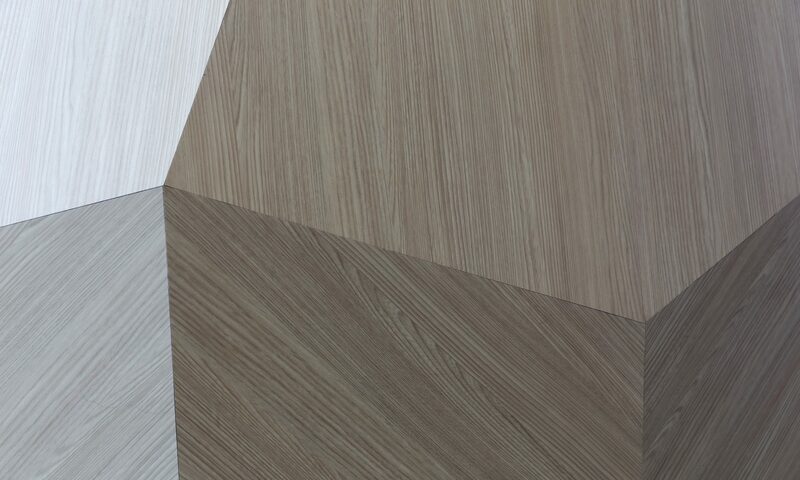 What if it was a 5,000+ square foot lobby? Yeah, that’ll probably look all right. 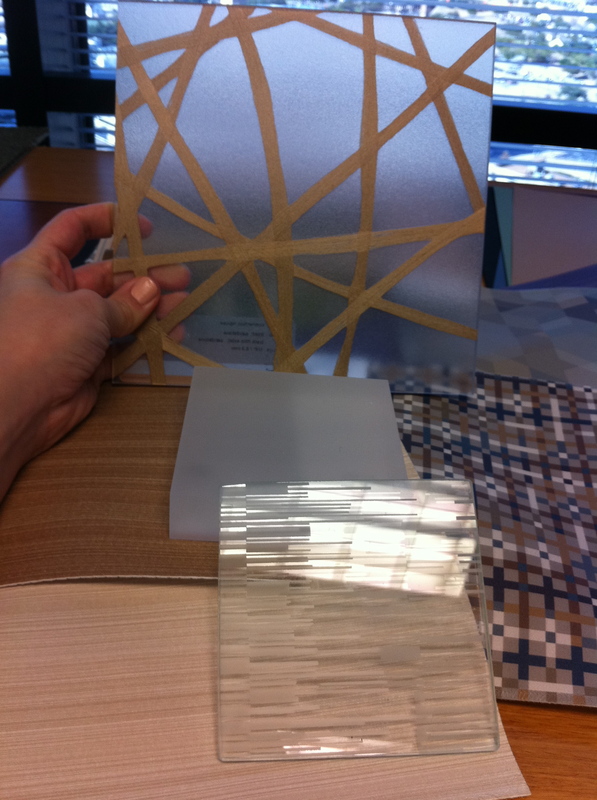 3 Form panels and some decorative glass by Suzanne Tick–they will mostly used as room dividers. 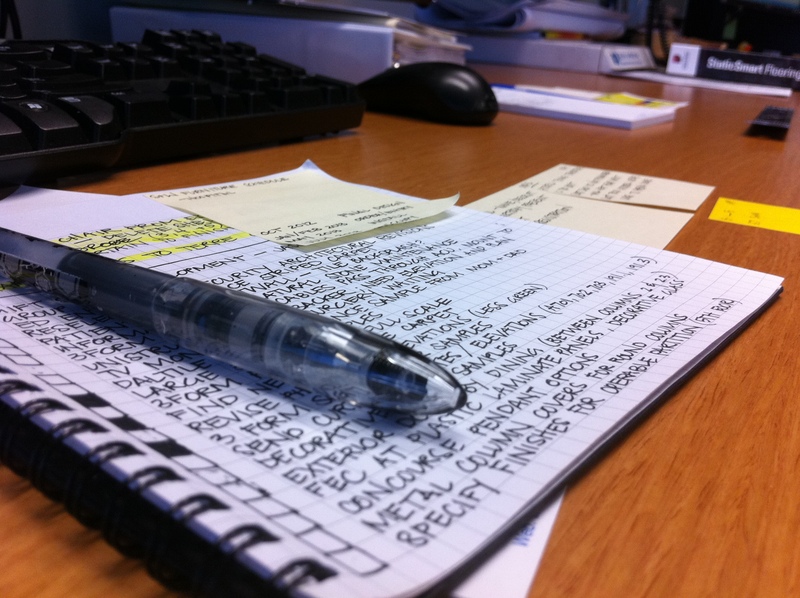 And finally, the not so pretty stack of to-do lists and post-it notes! I’m dying to clear off some surfaces–wish me luck!